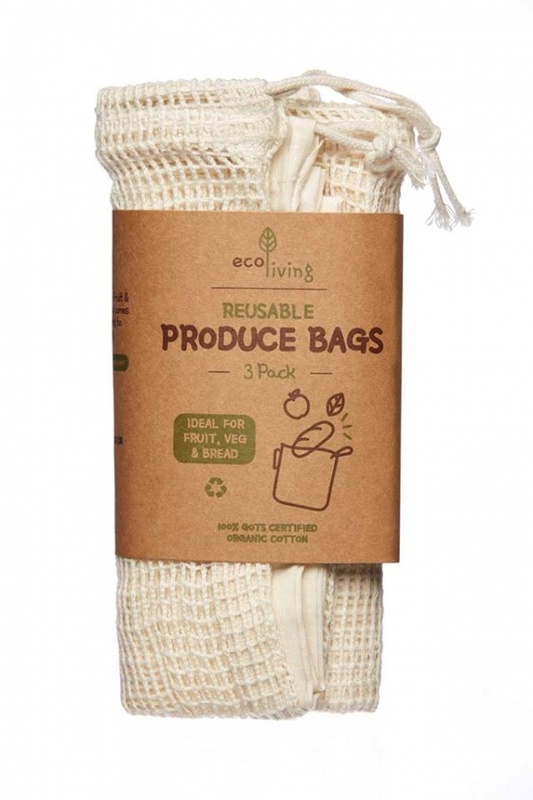 A 3 pack of reusable organic produce bags. Ideal for fruit, veg and bread. 1 x lightweight bag, 1 x bread bag, 1 x net bag. 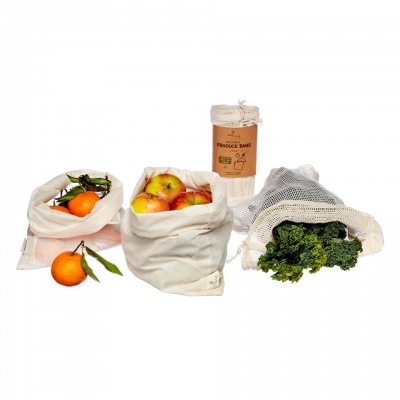 A 3 pack of reusable organic produce bags. Ideal for fruit, veg and bread. 1 x organic bread bag, 1 x net bag and 1 x lightweight fruit ad veg bag. ecoLiving organic reusable organic produce bags are perfect for carrying your fruit & veg from the greengrocers, farmers market or supermarket to your home. The certified organic cotton can be put directly in the refrigerator as the bags are breathable compared with plastic bags. The bread bag is a waste-free way to get your crusty loaf from the bakers. 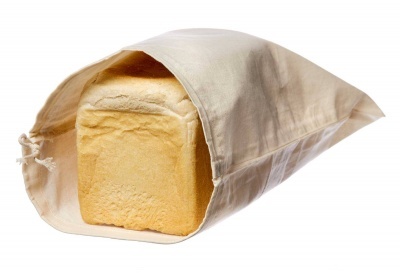 Now you can get your bread sliced without having to use a dreaded plastic bag. Save on disposable paper packaging too. 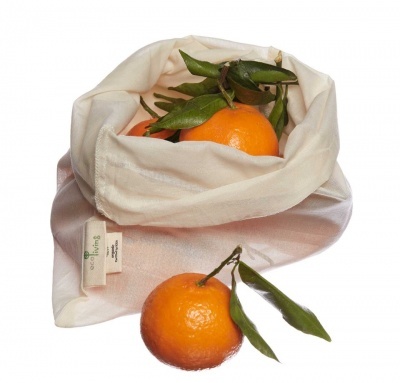 The bread bag can also be used for fruit & Veg too! 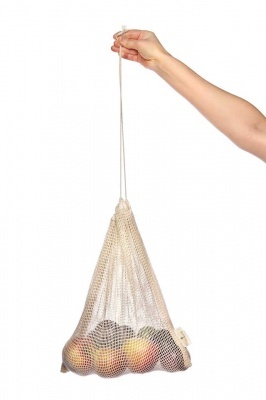 The lightweight bag is great for weight fruit and veg in a supermarket as it almost weights nothing on the scales. It is the perfect replacement for a pesky plastic bag. 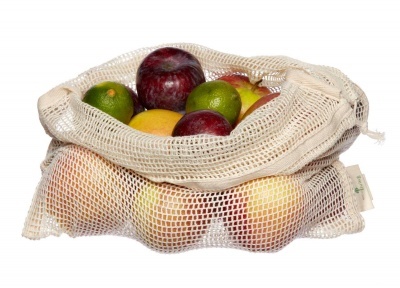 The net bag is very spacious, it is perfect for shopping at a farmers market and can still be used at a supermarket, just weight the produce first. After use, you can just put them in your washing machine on 30 degrees and hang to dry. As the bags are made from natural material, the bags shrink about 10-12% from the original size.